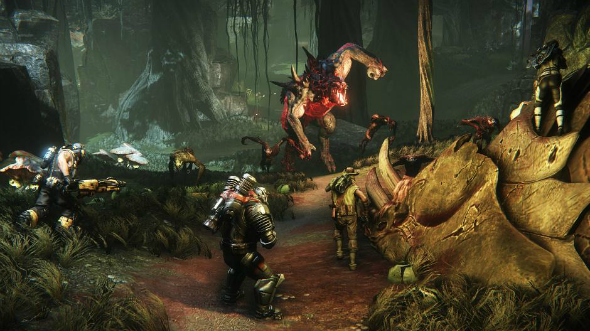 The developers of the new game from Turtle Rock Studios have shared some new Evolve screenshots and a short video with their fans. 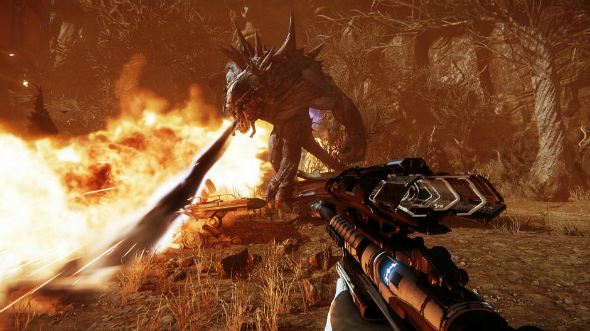 The Evolve game is a co-operative first-person shooter with the sci-fi elements. According to the game’s plot, four players must form a team, the structure of which we have already described, find and kill the main alien monster named Goliath. However each of the hunters is equipped with the exclusive weapon, and the beast has some unique powers like snorting the fire, throwing the huge stones and climbing the cliffs. Both the colorful Evolve screenshots and a thrilling trailer show us four team members - Griffin, Hank, Val and Markov, - who are fighting against the different monsters, including Goliath (more images you can find in our community on Facebook). 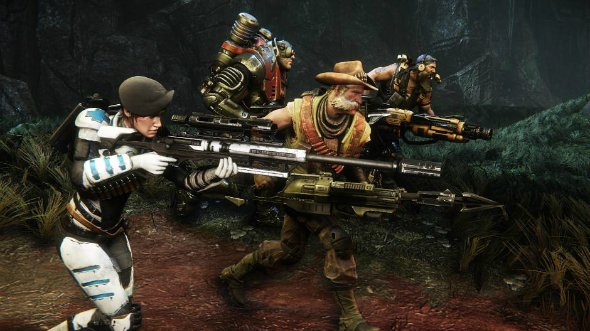 According to the art-director of the Turtle Rock Studios, the whole Evolve game is like an epic battle with a big boss, where each combat is unique. The developers have tried to create the most terrifying and strong beasts, so they are sure most of the players will choose to be a monster during the game. Let us remind you that new shooter is to be released in autumn 2014 for PC, Xbox One and PS4. And while waiting for more fresh news, we offer you to look at the Evolve screenshots, watch the video and share your impressions in the comments.